As per report from Korea, it says that Samsung has asked its part suppliers — that meant for Galaxy S8 exclusively, not the entire Samsung mobile phone portfolio we guess — to keep adequate stock, such that they should be able to supply based on Samsung target of 60 million units of Galaxy S8. The report also confirms the Galaxy S8 release, as it seems Samsung has conveyed to its parts suppliers that the release has been delayed by a month to mid-April, in comparison to usual march release Galaxy S6 and S7 had had. 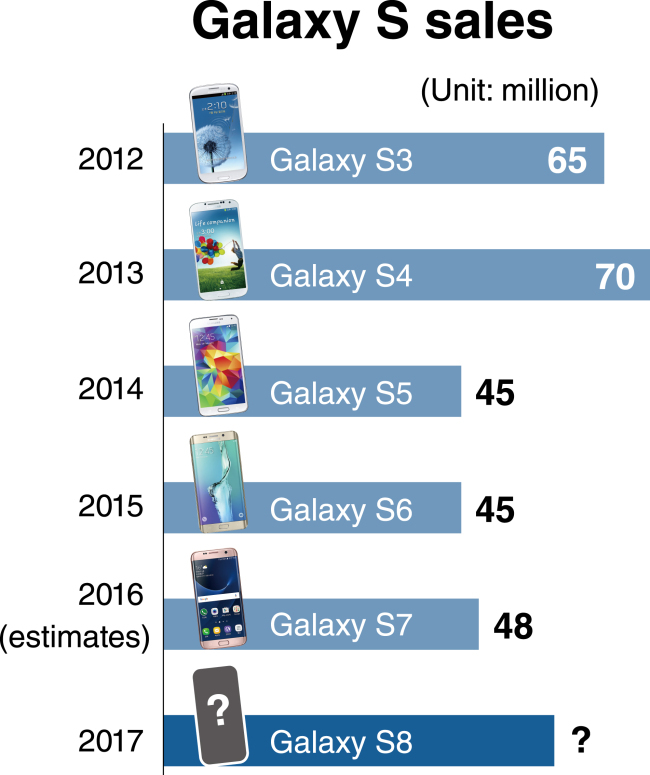 To out the 60m units S8 sales target into some perspective, Samsung reported sold 45m units of Galaxy S5 and Galaxy S6, while bagged 48m orders of Galaxy S7. It’s also being said Samsung is scheduled to receive the Radio frequency modules for the S8 in March, while other suppliers would send their shipments in April itself. Samsung Galaxy S8 is expected to come in two variants: Galaxy S8, Galaxy S8 Edge/Plus, but there are chances that S8 Edge and S8 Plus could be different devices, the later adding S-Pen functionality to it. It’s rumored that S8 would feature 5.7″ dual curved display with great body-to-screen ratio (over 90%) such that overall size of the device is relatively small, while the Galaxy S8 Plus could feature 6.2″ display, while remaining the size of 5.7″ Note 7.